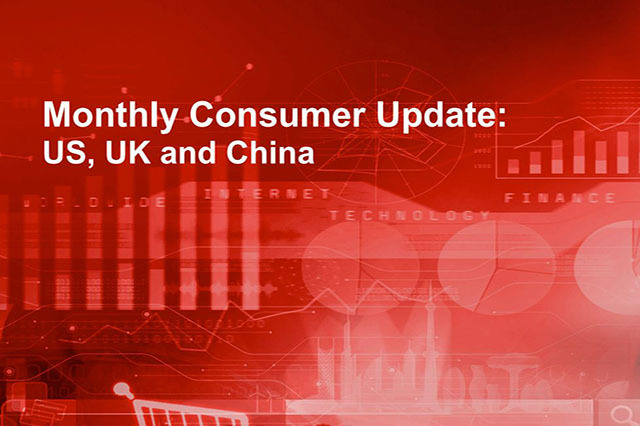 Each month, we round up key metrics reflecting consumer demand in the US, the UK and China. 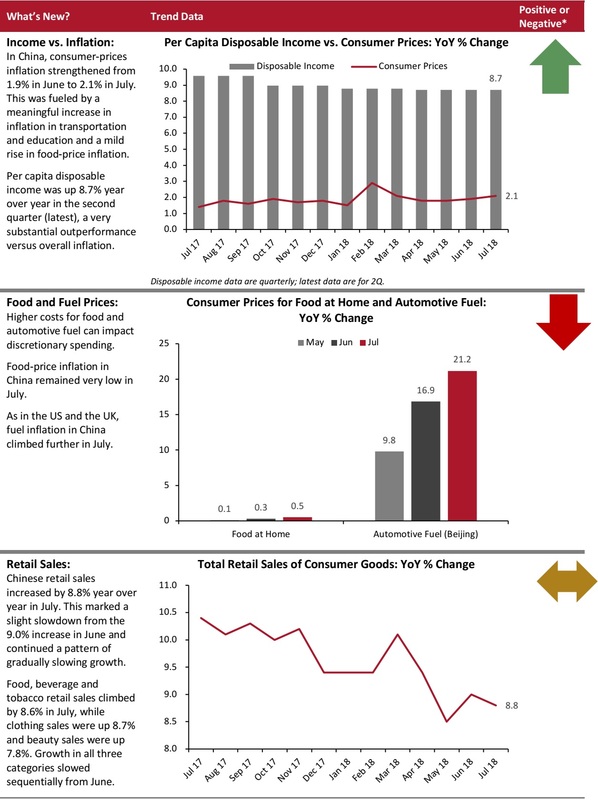 We focus on direct, leading indicators of the health of the consumer economy: wage growth, price changes and retail sales growth. 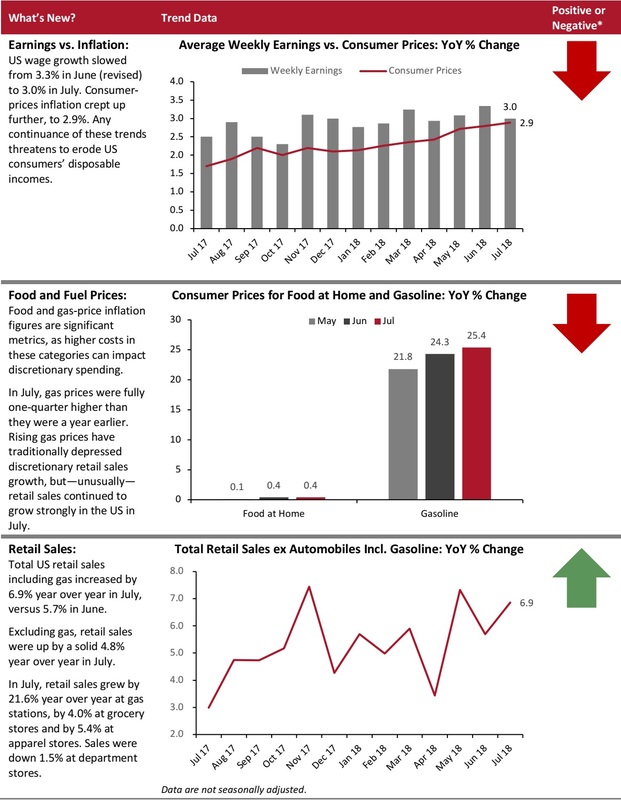 In the US, gasoline prices were up by one-quarter year over year, yet retail sales (excluding gasoline) continued to grow strongly. 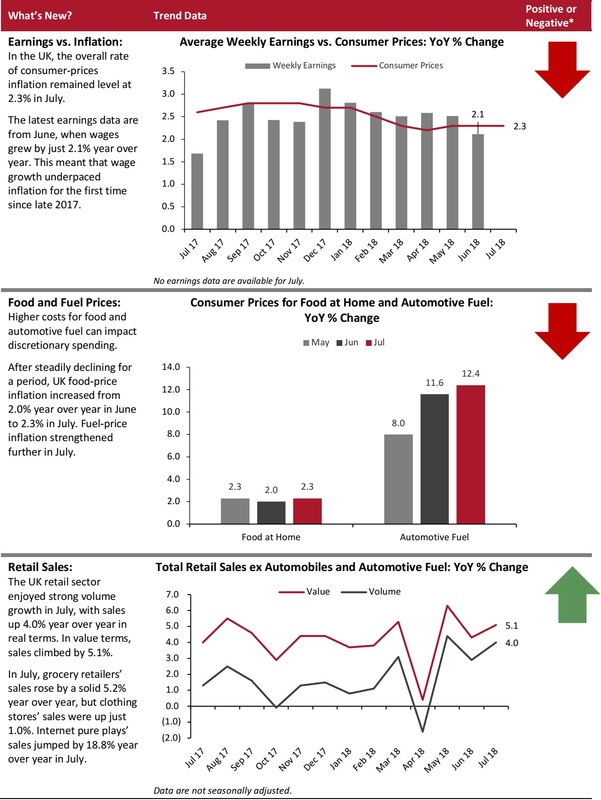 In the UK, retail sales growth strengthened even as inflation began to outpace wage growth. 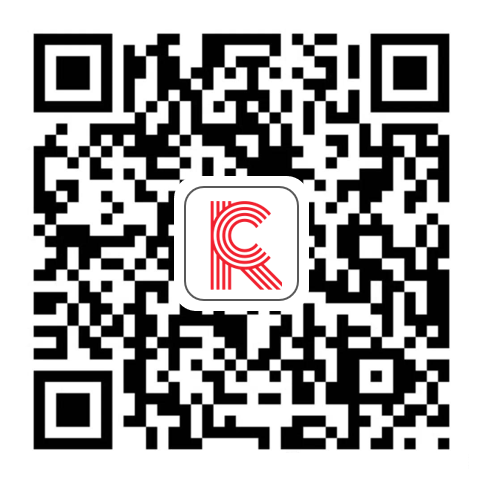 In China, the medium-term slowdown in retail sales growth continued.